This week is a big week for me and for this little blog. It started on Saturday when I had a post featured on Scary Mommy. She has over 100,000 Facebook followers and 320,000+ Twitter followers. Comparatively, my blog is a peon in the blogosphere. That is why being featured on the Scary Mommy site is such a huge thing for me. Today, Tuesday, I am the SITS featured blogger! SITS is an online community for bloggers where you can get tips on everything from social media to making money through your blog. The SITS girls even host conferences called Bloggy Boot Camp. In fact, I'm going the one on Minneapolis in October and I am really excited! It will be my first blogging conference. Each day, Monday through Friday, they feature a blogger from their community and today is my day! Finally, tomorrow, I will be the guest blogger for Kristi at Finding Ninee. Kristi has created a series called Our Land - a place where empathy and wonder rule. The series is full of fantastic, poignant pieces and I am truly honored to be one of the contributors. The piece I wrote is dear to my heart. I hope you will visit tomorrow and take moment to read it. Then, take several moments to read all of the other incredible post in the series. All of these "appearances" are fabulous and make me feel very special. To have them all happen in the span of a few days is a tad overwhelming - in a good way. Of course, one anticipated side benefit of these opportunities is that, hopefully, it will bring a few new readers here to The Golden Spoons. 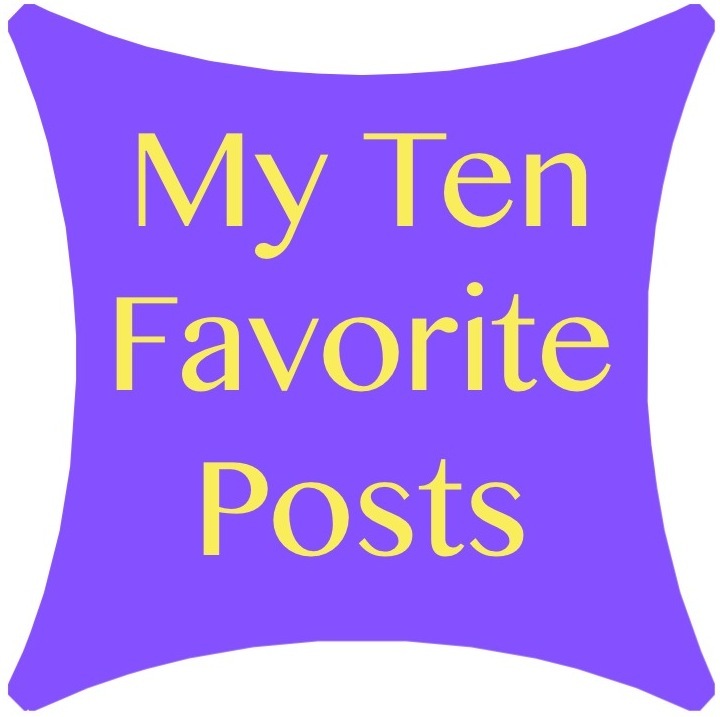 With that in mind, I thought for today's Tuesday Ten and share with you my ten favorite blogs posts. A little history: I published my first post on February 26, 2010. Since then, I have published 333 posts and received just over 62,000 page views. At first, I had no idea what blogging was about. Over time, I learned more and more. About six months ago, in search of a sense of self accomplishment, I decided to really try and make something of my minuscule little blog. Since then, I have been promoting, writing, and submitting like crazy. I have met LOTS of wonderful new blog friends and been given several awesome opportunities. Lessons I Want To Teach My Daughters - My all-time most favorite post. Kids Say The Darndest Things - The first one; the story I just had to tell that led me to start the blog. Rachel and MamMaw - A Post about my oldest daughter and my wonderful grandmother. Talking In All Caps - A post about how my children always speak loudly. Dear CeCe - A Letter to the foster child we once had (She is also the subject of my Our Land post. One Word - A more recent Finish The Sentence Friday about one word that changed everything. A Letter To My Daughter Upon Entering Middle School - Another more recent post that is exactly what it says. What My Girls Love About Their Daddy - This post was a Father's Day gift to my hubby. Terror in the Minivan - A terrifying post about a ride in the minivan and my girls . . and a spider. Tightrope Walking - Because parenting is a delicate balancing act. With over 300 posts published, it is pretty hard to pick just ten. For more of my favorites, click here. If you are visiting for the first time then Welcome! I hope you enjoy what you read and will return. If you are a loyal reader, thank you sincerely for you support - past, present, and future! Congrats on being the SITS featured blogger - great blog you have here - So excited for you that you get to attend your first blog conference! I cannot wait to attend my first one someday soon too. Congrats on your SITS Day today! I've read some of these but not all...I need to check them out! Thanks Robin! Thanks for visiting, reading, and commenting! Happy SITS Day! So happy your week has been going so well and can't wait to dive into your blog and read some of these posts :) Have a great day!! :-) I still laugh every time! Thanks Shashi! I am very excited to go to my first conference! Happy, happy SITS day! What a big week for you. Read your Scary Mommy post and looking forward to reading your Our Land post tomorrow. Hope lots of new readers find you this week - they will be glad they did! Congratulations on being SITS featured blogger. It has been a great week for you. Good things are happening. I hope they continue for you. Your blog is full of warmth and love for your family. I think that's wonderful. Have a blessed day! Congrats on being featured blogger today, wow, what a whirlwind of a week for you. Enjoy it! Stopping by from SITS. How exciting to have so many good things happening with your blog! 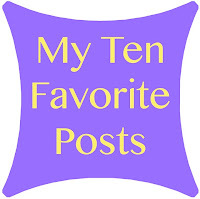 And I love your post and format with your top 10 favorites. What a great way to welcome the SITS Girls on your featured blogger day. I'm still amazed with the featured bloggers how many times I discover a new blog that I have crossed paths several times before, but never connected. It is so great to meet you officially. Happy SITS Day! Wow! Some exciting things going on for you! Congratulations! All well deserved, I'm sure :-) Dropping by from SITS and can't wait to read some of your favorite posts, what a great idea to introduce people to your site! Lovely to meet you as well! Thanks for stopping in! Congrats on your SITS day! What an exciting week it's been for you! So glad I've been able to connect with you! That one still makes me laugh every single time! :-) Thanks for visiting! Me too Ginnymarie! Thanks for your support! Wow congrats to you on all accolades! It is your time to shine, so treasure ever minute of it! I am now following you on all social media. I hope you will stop by and visit me to when you get a chance! Happy SITS Day! I love, love, love when it's someone I "know" or work with. That makes me feel like we're all growing together. And I loved your post on Scary Mommy and I love, love, love Finding Ninee so you KNOW I will be tuning in tomorrow. Happy SITS Day! I'm so excited for you celebrating your day - and all the other fun. Scary Mommy is big stuff! That's an amazing week! Thanks so much for letting us be apart of it and linking up with Wine'd down Wednesday! Happy SITS Day! You certainly have had a busy and amazing week so far. I hope you had a wonderful day. Congrats on your SITS day.It's so nice to discover your terrific blog. I hope you enjoyed your day. It was completely overwhelming and wonderful! :-) Thanks for visiting! Congratulations, Lisa, on having your SITS Day! How did I miss this? Isn't it fun? You've had a pretty fun week so far, right? It has certainly been fun, though a bit overwhelming! Good to see you're pimping yourself so well! Of course the Hump Day Hook Up is the most fun!